Lance Stephenson’s father (Lance), mother (Bernadette) and brother (Lantz) at their home outside of Indianapolis. This is the dad, not the player. 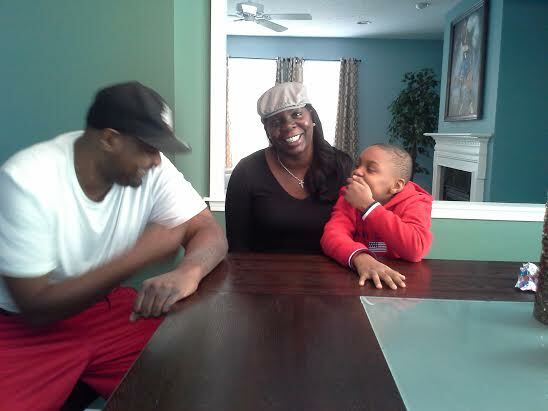 I had gone to the Stephensons’ home during Lance Jr.’s final season with the Pacers to write a story that opened a lot of eyes about the family background. Lance Jr. lived with his parents and younger brother in a nearly rural setting outside of Indianapolis. It’s not what people were expecting from a family that had grown up on hard streets in Brooklyn. After getting to know them, and like them, I convinced Lance Sr. to come with his wife to the studio to record a Father’s Day edition of the show. They were great with me, cooperating beyond what they had done with anyone else, and have a great story to tell, too – such as why they named one son Lance and the other Lantz. There’s a good reason, believe me. You’ll notice dad talks optimistically of his son re-signing with the Pacers after the season. It didn’t happen, of course. Charlotte made a slightly better offer, and the family was off to North Carolina. Lance Jr. was traded to the Clippers after that season, so I presume they’ll be living in Los Angeles next. This qualifies as one of my favorite episodes, though, because there’s so much more to the Stephenson story than people assumed.